We realize that we can't do everything, but we still want to you be able to find everything. We've partnered up with various companies over the past few years and wanted to share the love. GameFace is pleased to announce a partnership with psychologist Dr. Andrew McMeekin. Adding Andrew's expertise to our list of services allows us to provide a whole new level of support and academic excellence to our students. Andrew will help our students with test anxiety, attention deficit, executive functioning, as well as college prep and transition. In addition, as a school psychologist, Andrew will be available for psycho-educational testing to help identify learning disabilities and secure any necessary school-based accommodations from which our students may benefit. In addition to school psychology, Andrew specializes in treating anxiety, depression, and behavior needs of school-aged kids and young adults. Call or email Tim with any questions or to set an initial consultation with Dr. McMeekin. Crimson Review is our official SAT/ACT test prep partner. Crimson has been helping students do their best on college entrance exams for more than 30 years. They offer group and one-on-one instruction with top-notch instructors and personalized programs for your student. They have nearby offices in Wayne and Malvern. Find out more at crimsonreview.com. 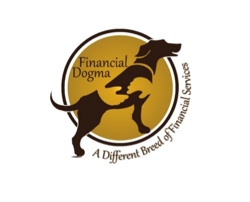 GameFace is thrilled to offer to parents two unique programs courtesy of our partnership with Financial Dogma. These two services will help guide parents of middle and high school students in their efforts to put their children through college. The first program – College Funding Evolution – helps parents face late stage college planning concerns, from admissions to funding and financial aid issues. The second program – College Bound Rewards – helps parents earn tuition credits redeemable at 350+ private colleges and universities throughout the US, including several here in the Philadelphia area such as Drexel, Widener LaSalle, Cabrini, Immaculata and more. You can even earn $500 tuition credits on your initial visit with Ethan.